And her song the local lyrebird imitate. The yellow robin lets you get quite near. The song with you till next time will remain. 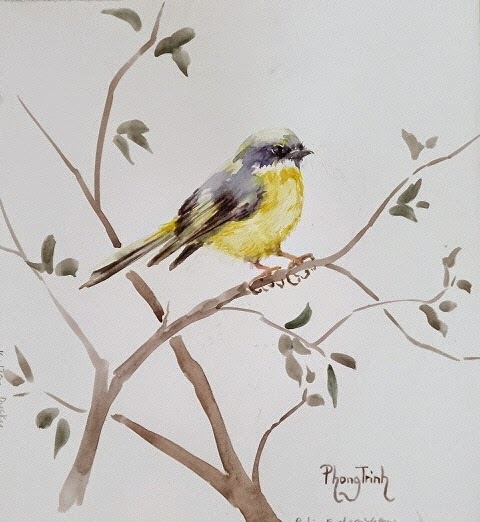 The yellow breasted bird with cloak blue gray. I hear her in the wood across the way.